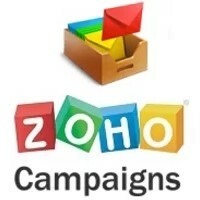 See this comparison of MailChimp vs Zoho Campaigns. Market leading email design and email campaign platform. 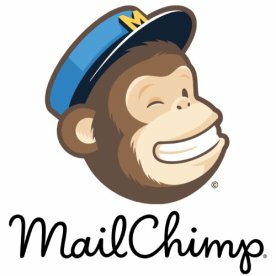 MailChimp is a market leading email marketing tool. It offers businesses a range of features to help engage their audience. They are one of the biggest platforms in this market with over six billion emails sent every week. The platform has a focus on ease of use, advanced features and a high level of customer support. MailChimp is a powerful email marketing tool. The Email Design tool is simple to use, but offers advanced features. This allows you to create engaging designs that look exactly the way you want them to. The platform is very well suited to small business accounts who need to send out highly target emails to users. The platform allows them to do this with detailed analytics and reporting. This allows you to identify specific customer segments and demographics. You can then fine-tune your marketing to these audiences. MailChimp also allows standard reports, such as seeing how much engagement your emails are getting. The service allows you to customise calls to actions and landing pages to help increase these engagement rates. This service is not quite as simplified as some competitors. However, it offers advanced features and a number of integrations. If you’re looking for advanced email marketing with a range of other marketing campaign functionality available, MailChimp is a very strong option to consider.